An unfortunate meeting with a steel snow shovel caused many long, isolated, deep scratches and gouges. These are also commonly referred to as RIDS (Random Isolated Deep Scratches). A good way to tell if the scratch will need to be filled in (filler, paint, and/or clear coat) is if you can catch the edge with your finger nail. The scratches to the left needed fill before burnishing the surface down. 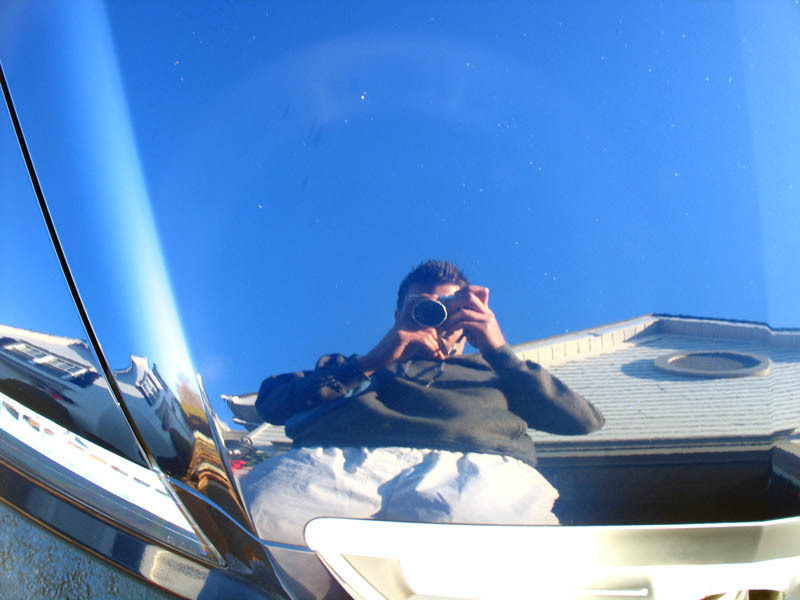 By sanding the scratches lightly to smooth any sharp edges, touching up with Acura OEM paint/clear 2-3 times, and allowing to cure under a heat lamp for 1 hour, I built the surface up before taking it all down to the same level. I then wetsanded the entire area with 1500, then 2000, then 3000 grit papers. The idea here is to even out the the areas to be the same level as the existing factory paint. This process requires patience, lubrication, and a little bit of guts. 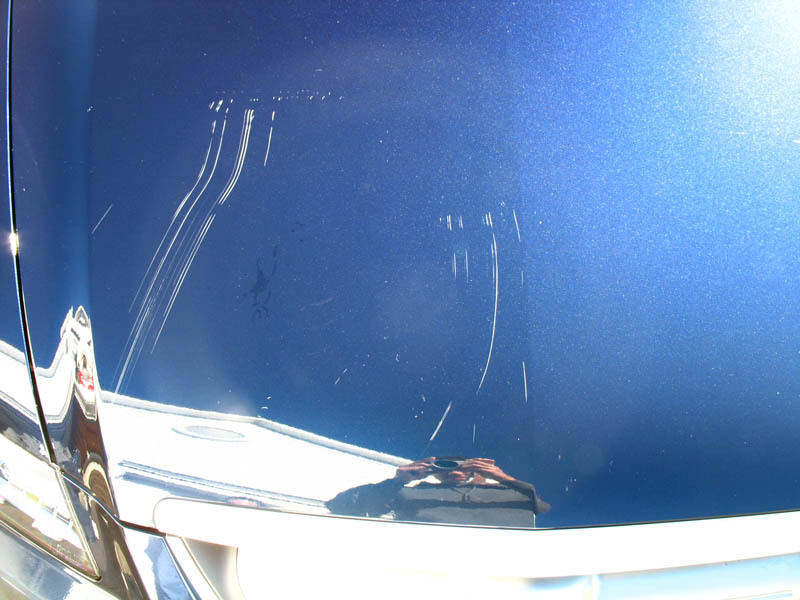 Following the sanding process, your paint will be completely hazed over. I then performed a multi-step approach with a rotary polisher, various compounds and polishes coupled with wool and foam pads. 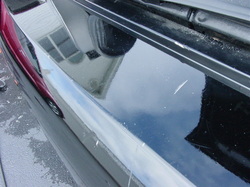 The results are a 95%+ improvement which saved the owner a $1000 hood repaint. 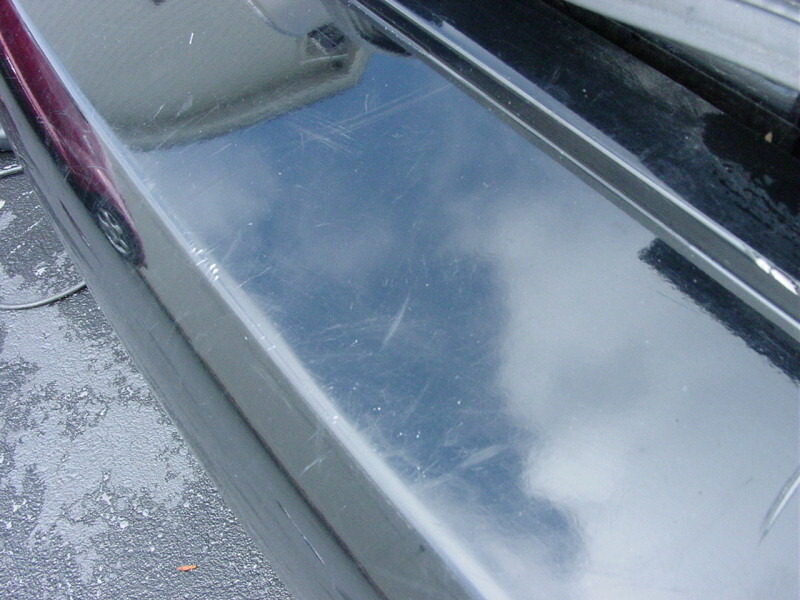 Here is a rear bumper that, over time, received abuse mostly from resting or dragging items across the surface. Most of these blemishes were light enough to compound and polish without the need for touch-up. 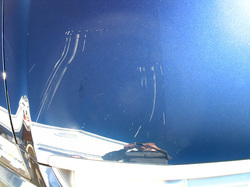 After using a light compound followed by a finishing polish with a rotary polisher, the gloss came right back and defects were mostly removed. One resounding message you will see me portray is to 'use the least aggressive method possible' to fix the issue. You must also manage your expectations and be realistic about what you are working with. This particular car is a daily driver that sees plenty of regular use and lives outdoors. The owner did not want to spend the extra money for me to get every last scratch out. 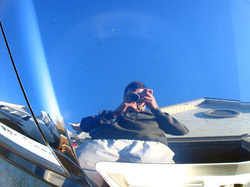 Preserving the life of the current paint and having a finish that shows well on 95% of the surfaces was the goal here which was ultimately achieved.